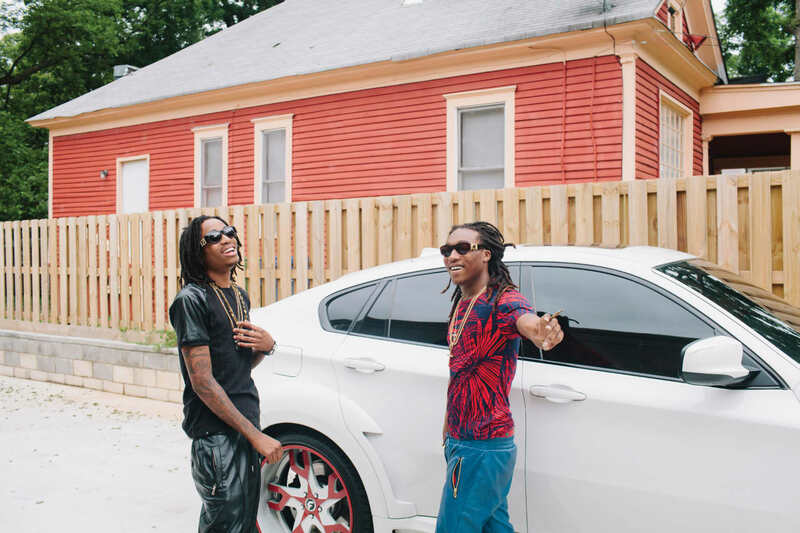 As “Bando” became a staple in clubs and radio playlists, Migos found themselves embraced by members of the old guard they emulated. They bumped into Gucci Mane’s longtime producer Zaytoven in a VIP section and he started sending them beats the next day; their new manager, Kevin “Coach K” Lee, also helped shape the early careers of local icons like Young Jeezy and Gucci, or as they now call him, “the big brother.” The Atlanta rap infrastructure thrives when its rising stars offer slight but eccentric updates to the city’s sound, pushing ever so slightly against the boundaries of hardscrabble tradition, and for the past several months, Migos has simply been doing this better and more memorably than anyone else. The hope is that Young Rich Niggas will propel them from local celebrity to national attention, a process that already seems well under way. 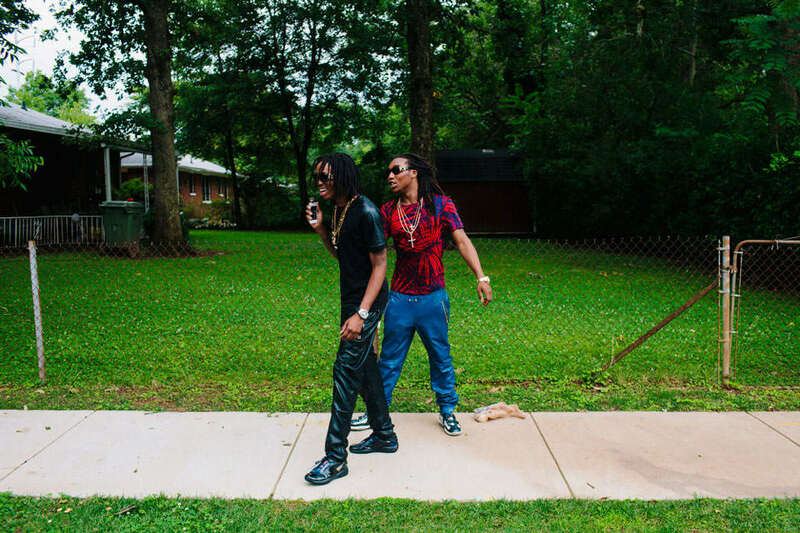 In Los Angeles, a few days before our interview, TakeOff was shocked to be approached by “three white guys singing ‘R.I.P.’” one of the tracks they made with Zaytoven. “On Melrose Avenue!” he says in disbelief over their encounter. “I didn’t even know they listened to rap over there.” Just a week after the tape’s release, Drake would remix another standout, “Versace,” and Justin Bieber would post a short video of himself mouthing a verse—endorsements one imagines will lead to quite a few fans Migos never expected. Back in the studio, Coach K leans forward to the group and says earnestly, “It’s just the beginning. 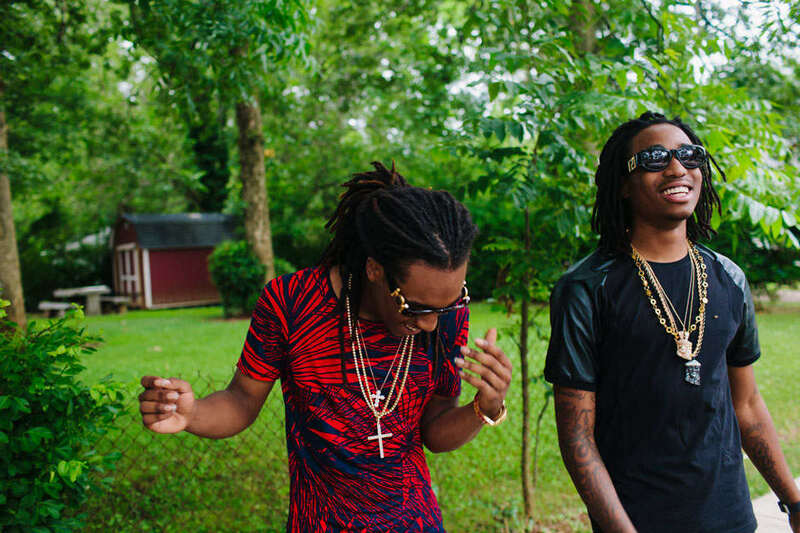 This is our summer.” His gravitas apparently strikes Quavo as hilarious, as Quavo bursts out laughing and, with mock-seriousness, shouts, “This is our summer!” Looking around the room, he’s the only one laughing.